If you’re striving for a truly cinematic experience in your home theatre you likely already know a projector is going to give you the best results. But what are the features you really need, and what kind of quality do you want? These days it’s all about 4K resolution, and projectors can also deliver this ultra high-definition format. 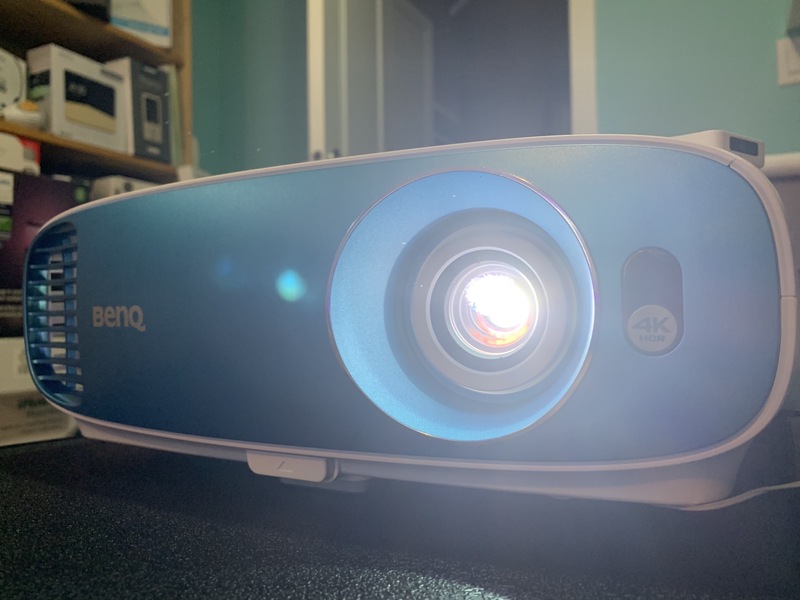 I recently had the opportunity to test out a new projector from BenQ: the 4K BenQ TK800. Here’s what I found. 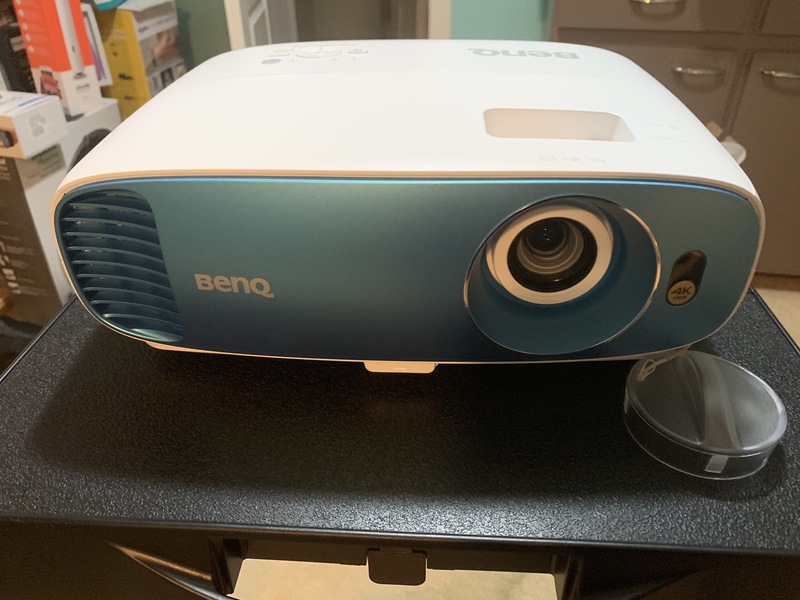 The BenQ TK800 is definitely light and portable, though in my experience unless you’re a travelling salesperson, you’re likely not moving around with a projector a lot. The first thing most people want to know is: how does the video image look? It’s excellent; it’s sharp and realistic and bright and colourful. If it’s not true 4K (more on this below), you wouldn’t know it. 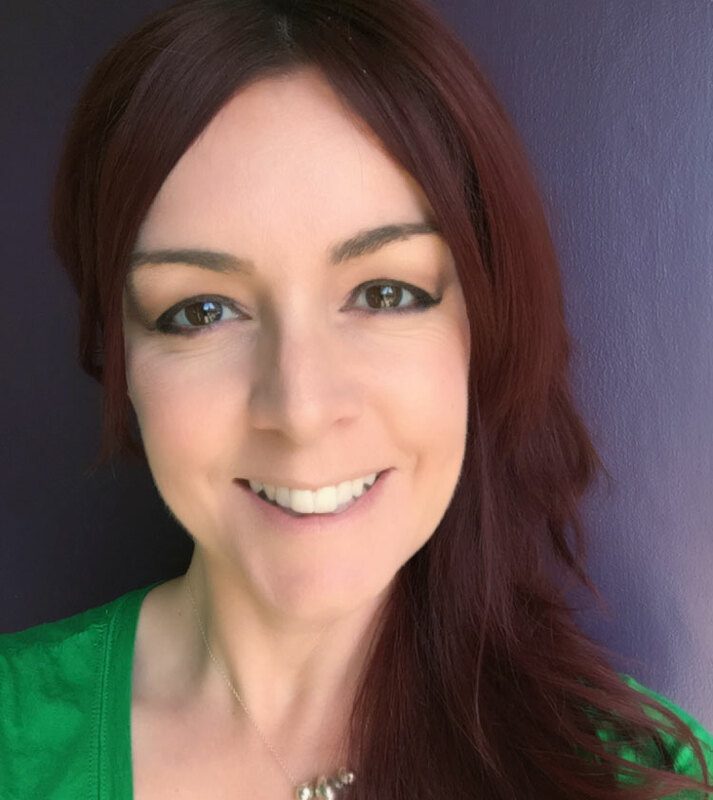 The colours are bright and vibrant, and even with some ambient light coming into my media room it was bright and easy to watch. The picture is clear and even, right to the edges. 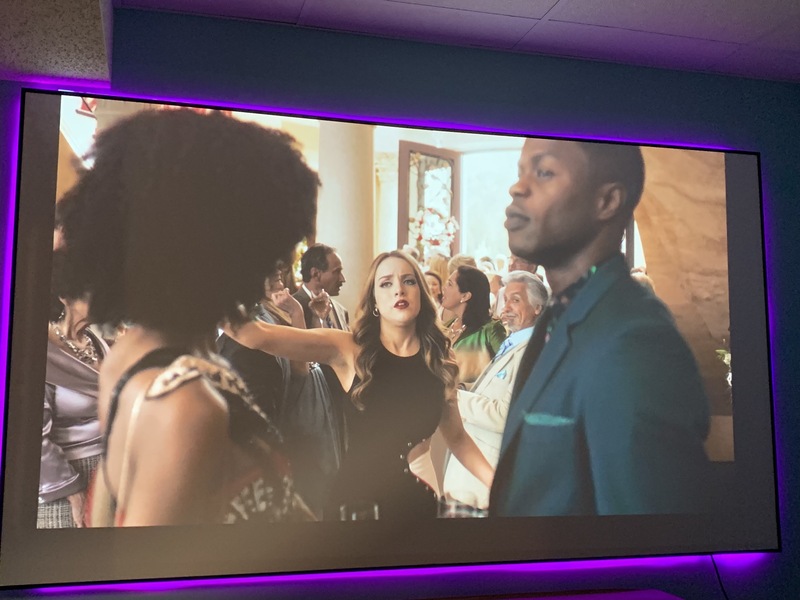 I watched several shows on the projector including The Rain, Marcella, Black Earth Rising, Miss Fisher’s Mysteries, and Velvet Buzzsaw. I was pretty happy with all of them and how they played out on the BenQ TK800. Watching darker scenes didn’t seem to be problematic; at least no more so than watching very dark scenes on a 4K TV. Colour is really vibrant on this projector; watching Blue Planet II it was astounding how vibrant and realistic the colours are. In the box, you’ll find the projector, the AC cord, and a remote control. The projector is white with a neat iridescent blue faceplate, making it a little more interesting than the average projector. There’s not a whole lot of setup to do: plug in the power, then connect your peripheral of choice. Easy peasy! 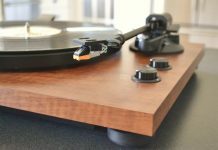 Handily, there are several ways to connect devices; you can connect a computer via the PC/VGA, Mini USB, Regular USB/Type A, RS-232, plus spots to plug in a remote trigger, 2 HDMI ports, and an Aux plug for audio out and an Audio In. 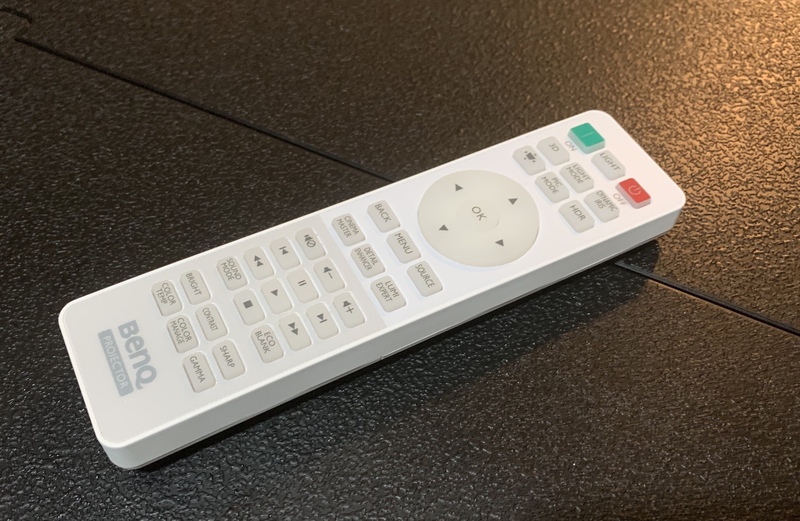 I chose to connect a Roku 4K media streamer to test out the device, and it was up and ready to go in a moment. While it’s possible to create a nearly 4m big image, I didn’t need anything quite that large. 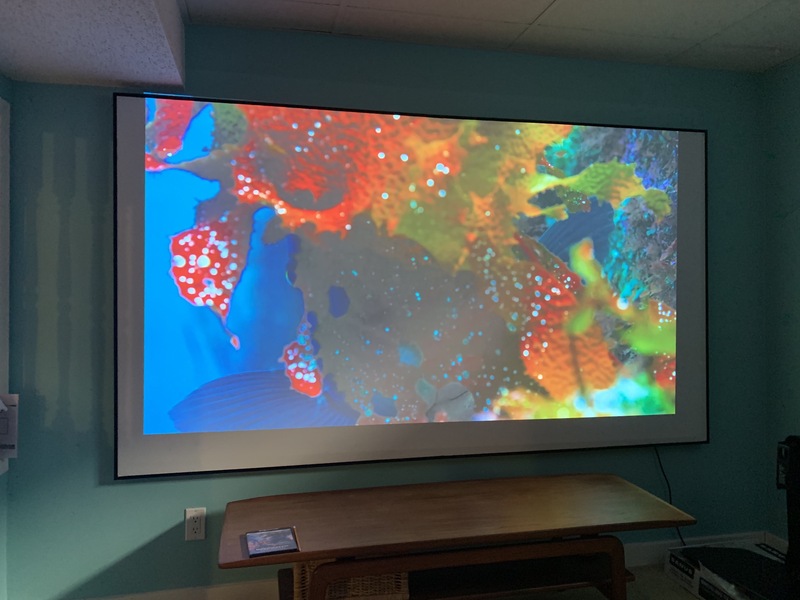 I used the projector with my Elunevision 106” Elara Nano Edge screen. 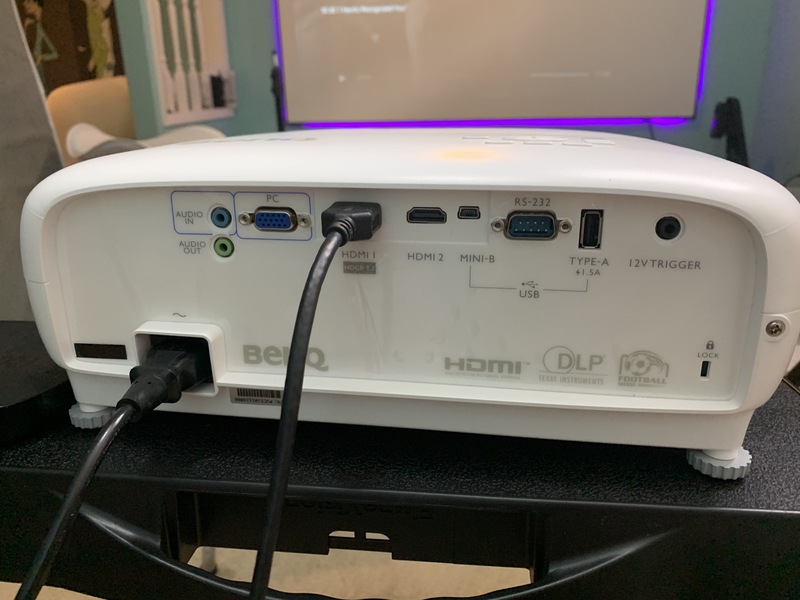 BenQ TK800 Video & Colour quality? So is that to say what this projector doesn’t have then is a true 4K display chip? Getting answers on this wasn’t easy. 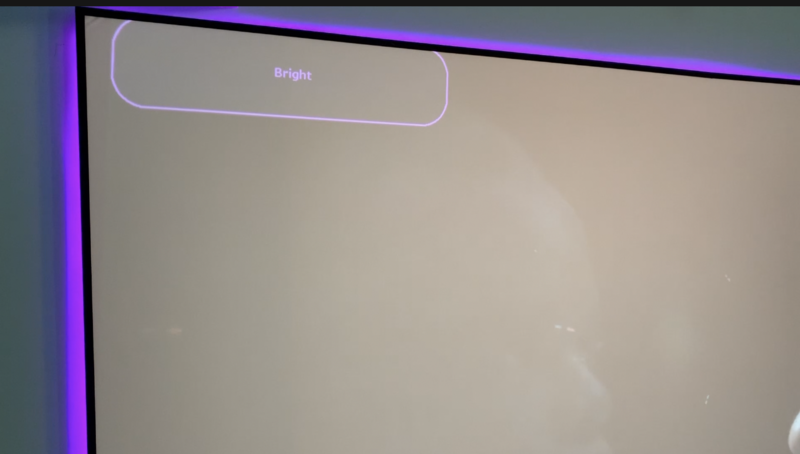 On BenQ’s website, nowhere does it list the projector’s native resolution (and my question about this on Twitter to BenQ went unanswered), stating only the “Resolution is 3840×2160”. 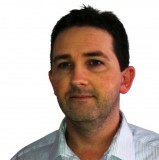 But several other reviews state the true native resolution is 1920×1080. The XPR chip is supposed to fool your eye into seeing more pixels or a sharper image than is actually there. Why all the subterfuge around resolution? I have no idea because the BenQ TK800 image looks great, so why not be up front? Probably the only people who’d have a problem with this projector are major videophiles bent on the highest quality—and likely have the biggest budgets. There are several different viewing modes with this projector: Cinema, Sport, Football, User, Bright, and Vivid. Like Auto Keystone, it takes a few seconds for changes to take effect. I really had a tough time discerning between these modes … particularly since it takes so long to swap among them. I think I’d need to watch and re-watch the same movie over and over in the different modes in order to see if there’s one that’s better overall. Since I only have limited time with the projector, I can’t do that. Suffice to say these modes are available to you, but the difference between them is not immediately discernible. Like other projectors, the BenQ TK800 comes with a built-in speaker, and BenQ makes a lot of that touting: “Powerful bass and crisp highs to feel heart-pounding excitement of intense gameplay,” “long-lasting sensual sound quality without distortion,” and “Custom-tuned sound modes adjust audio characteristics to deliver ideal audiovisual experiences for any type of entertainment, as if you were there live.” Okaaaaaay, sure. Again, let’s be honest, you definitely need some kind of external speakers to get any kind of audio joy. The speaker does sound ok, but it’s very mono sounding, somewhat tinny, and there’s no bass to speak of. 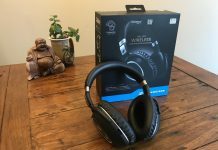 “Sensual sound quality?” Nope. 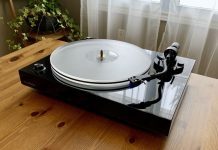 You definitely need to connect it to a proper sound system. But it will work for you in a pinch. How does Auto Keystone work? 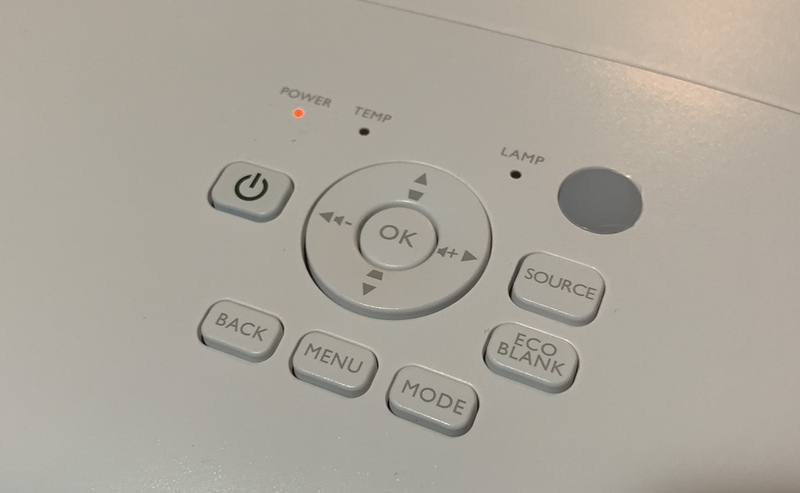 While it’s easy enough to adjust the image size and focus using the two wheels on the top of the projector (and employing the grid guide found in the Menu), you can also use Auto Keystone; though it doesn’t appear to be what you think it is. It turns out there’s not much ‘auto’ in Auto Keystone; it won’t size the image for you, instead, it lets YOU use cursor controls to make the adjustments, and I don’t really call that automatic. It also takes a few seconds for the resize to take effect, so it’s easy to adjust too much and then need to undo it. If you’re looking for a great quality home theatre projector, you’ll be really happy with this projector. The colour, resolution and detail is outstanding. My chief complaints are around the switching of settings; it takes a long time—sometimes up to 6 seconds for changes to take effect on the screen—so it makes the projector feel laggy. The speaker also does not live up to the BenQ hype. But the video quality is really, really great. Find the BenQ TK800 at Best Buy.